← It’s A Slam Dunk! Secretary of the Department of Health and Human Services Sylvia M. Burwell speaks at the New Mt. Zion Missionary Baptist Church in Tampa, FL. 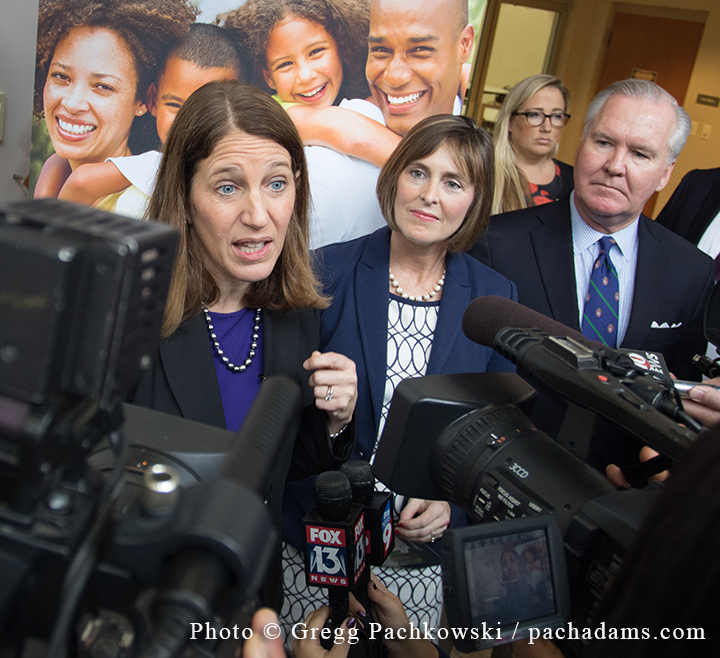 U.S. Health and Human Services Secretary Sylvia M. Burwell joined Tampa Mayor Bob Buckhorn and U.S. Representative Kathy Castor in speaking with congregants at the New Mt. 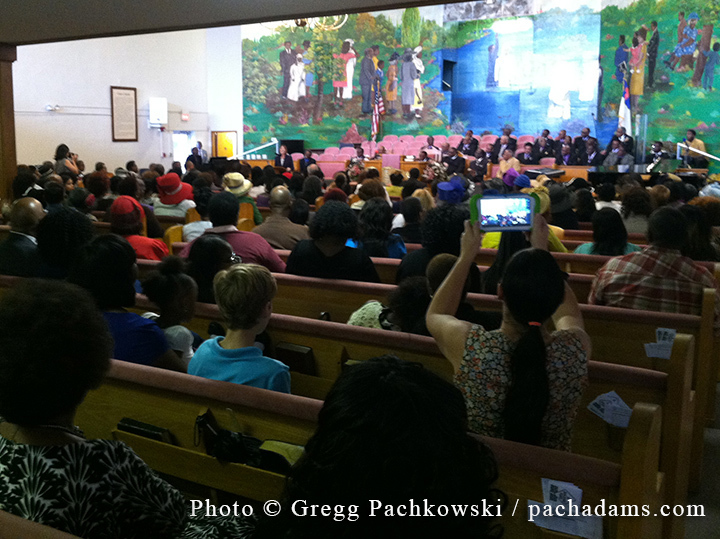 Zion Missionary Baptist Church in Tampa, FL on Sunday. Following the church service they attended a healthcare enrollment event and spoke with the media. and Tampa Mayor Bob Buckhorn listen. More than 11.3 million Americans (including 1.6 million Floridians) have signed up for coverage through the federal health insurance marketplaces. Unfortunately, the state of Florida has not expanded Medicaid so approximately one million residents fall through the cracks as they make too much money for Medicaid and too little money to qualify for a subsidy through the HealthCare marketplace. 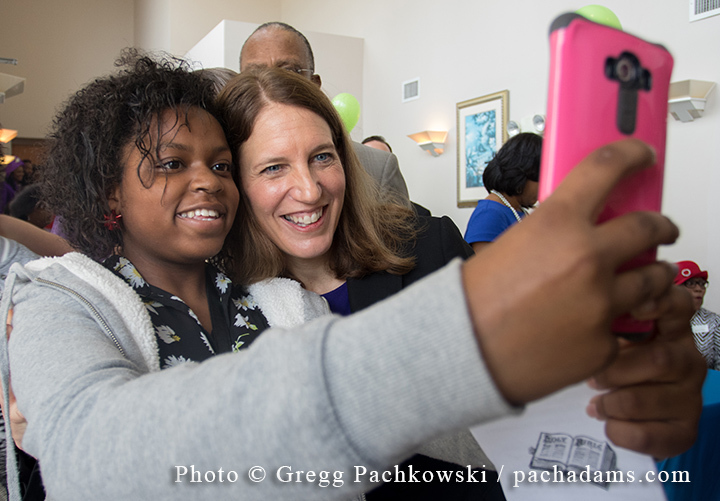 Secretary Burwell takes a selfie with a young lady during the event in Tampa. Unlike 2014 and 2015, there will be no special enrollment period at tax time this year. Therefore, it is important to signup by the of the January 31st Open Enrollment deadline or face a tax penalty.